Every March, College Basketball manages to offer us a month’s worth of excitementthrough a host of buzzer beaters, Cinderella stories, and impressive team achievements. For most college coaches, and just like their peers coaching high school and AAU teams their next season begins when they exit this year’s tournament. Given how fast youngplayers develop, very few coaches can predict the size, talent or skill of the athletes whojoin them on the court that first day of practice. So, they focus on what they can controland encourage their players to dedicate the Spring, Summer, and Fall to preparing toplay next season. Making it to the Final Four does not begin when the brackets are revealed. It begins inthe off-season when a player’s preparation and perseverance prepare them to compete. As the competition continues to elevate their game, playing your way into shape is nolonger an option. No matter what the position, a player must develop the movementskills to be faster on the court and fit enough to play at full speed every minute of the game. Athletic Republic has built its success on helping each athlete achieve their goalsthrough an individualized approach to training. Our off-court conditioning works ondeveloping a faster first step to improve shot selection and passing options, a quickerchange in direction to create separation, the explosive power needed to elevate tocontest a shot or earn a rebound, the stamina to play as well in the closing minutes asthey did just after tip-off, and the strength and stability to endure the season without asignificant sprain or strain. 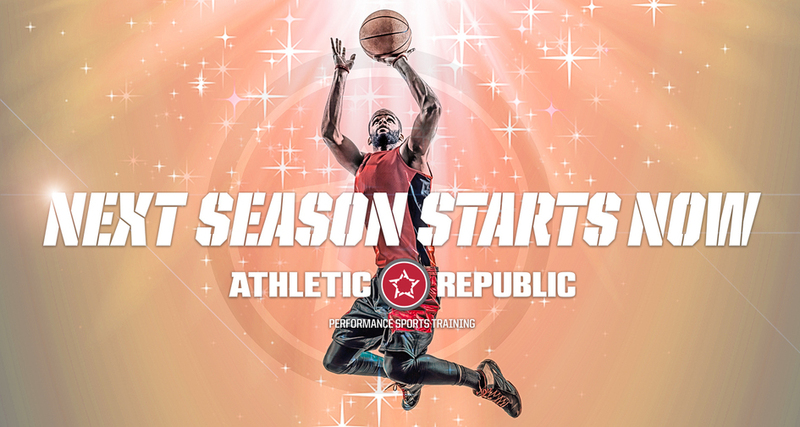 If you want to take your game to the next level this off-season, join Athletic Republictoday as next season starts now!